Replenish is the most advanced and effective body healing enhancement complex in the world. Unlock your bodies natural potential with all natural ingredients that restore the microflora in the intestinal tract following the use of antibiotics or other damaging treatments. 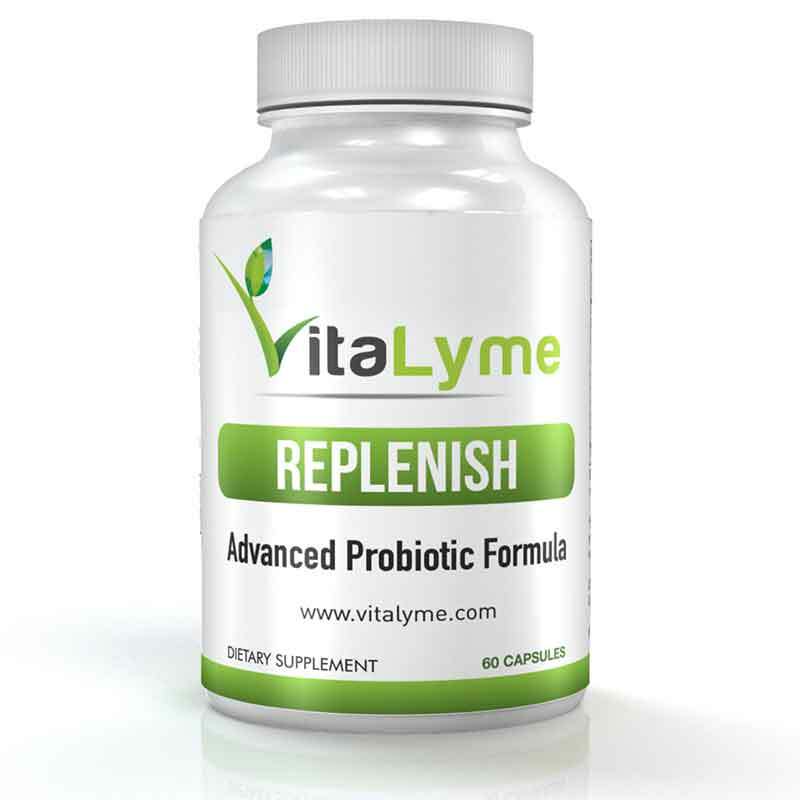 Our Replenish – Body Healing Enhancement Complex provides actual living microorganisms which are known to be essential and beneficial for overall immune health and well being. Probiotics are specifically recognized for their benefits in restoration of microflora in the intestinal tract following the use of antibiotics. 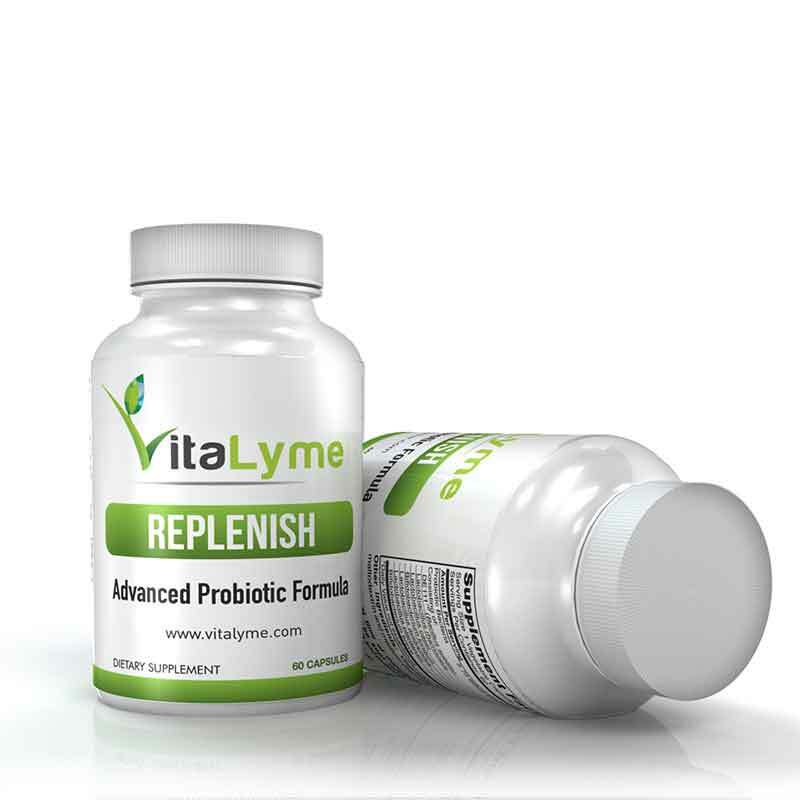 Replenish – Body Healing Enhancement Complex also promotes a healthy digestive tract and immune system including the reduction of pathogens responsible for Lyme Disease. 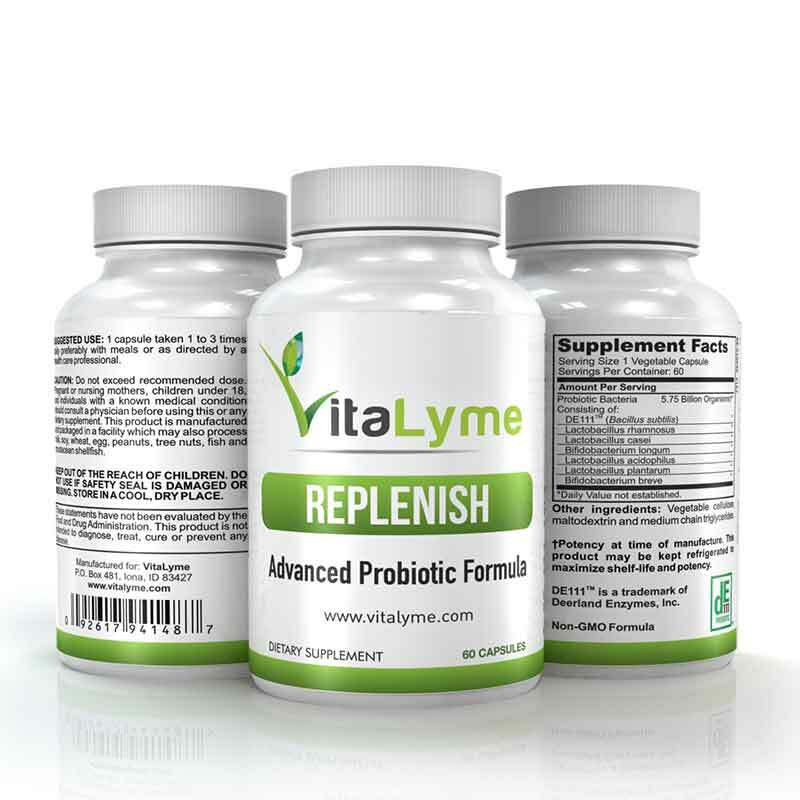 VitaLyme Replenish – Body Healing Enhancement Complex provides more than 5 billion living microorganisms.